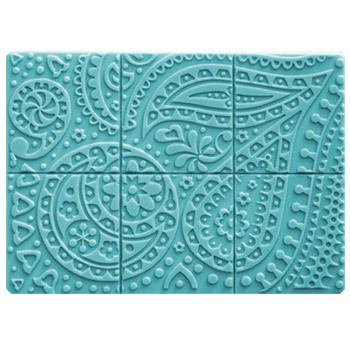 Home » Thoughts from The Sage » New Products Update! Wow! We have been super busy releasing the latest collection of new products and I just have to share with you! Lather is the bomb! Ok, so actually making lather with Sodium Laurel Sulfoacetate is like making a explosive bubble bomb. While we like the bubble power of Sodium Laurel Sulfoacetate, sometimes the extreme dust of the powder can make us reconsider pulling out the jar for use. Now you don’t have to reconsider using Sodium Laurel Sulfoacetate! Simply use the flake form and you won’t have to deal with as much dust as the powder form. These flakes can be still used in bath bombs and in liquid products as well. I can’t wait to come up with something using these flakes! Finally! An emulsifier that all vegetable derived! Now you can make lotions and make your customers happy with this emulsifier. This can be used instead of our Emulsifying Wax at the same percentages. We (the blog team) will make a review and comparison soon, so watch the blog later this month for our review! I’m tickled pink to announce we have Glass Roller Ball Bottles back in our catalog. Many of you were upset when we had to discontinue these bottles, but now you can breathe easy. I love these bottles for skin soothers, perfumes and lip gloss. You can choose black or white caps for these thick walled bottles. What will you put inside? We have our 4 oz Grand Oval Bottles back! Yippee! I love these bottles for Tina’s Lanolin Butter as I can easily go through two bottles worth in a single winter. These bottles stand on their caps, so it is easy to dispense those thicker products that you don’t want in a jar. Thick scrubs, creams and butters all work wonderfully in these bottles. I really enjoy using Chamomile Buds in tub teas and in infusions for soap. 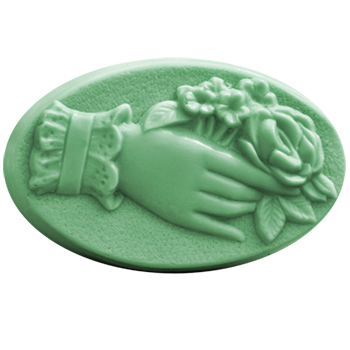 Some of my favorite soaps have Chamomile tea as the liquid. The best part about these buds? I can even use them to make dream pillows! I enjoy using our 1/4 ounce lip balm jars and I’m super excited to announce we have added a new cap color option! The newest cap is black so you can have your lip balm jars match your entire line! Isn’t that great? While I’ve been in China, I’ve decided one of my favorite teas is a Milk Oolong Tea. To me, this tea tastes of tea with a bit of caramelized milk. Yum! This tea is the latest in our Gifts & Teas section and it is definitely worth trying to fill your cart to get a free tin with your order. Andee! Awesome to hear about the tea and new products! You can bet that I will be filling up my cart! :) Also, I made soap with my Freebe Friday loot! 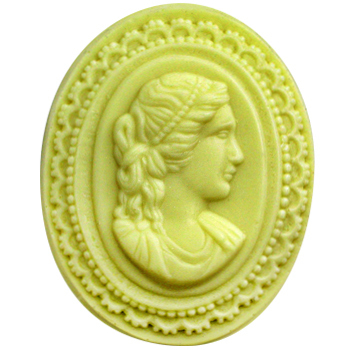 I used the Sunflower Mold and French Green Clay to color the glycerin. I also added fresh lavender and essential oil. It is divine! Thanks again for all the products! 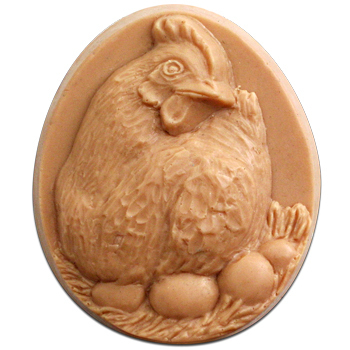 I am new to soap making so it is nice to see all the information you have on your blog. It inspires me! 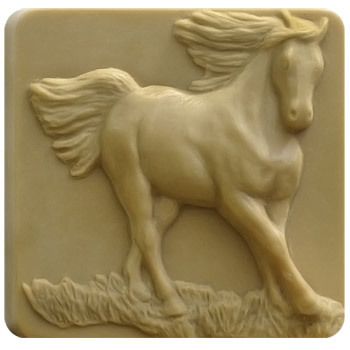 Would the horse mold work well with cold process soap? Tres cool that you got the SLSa in flakes and that the roller-balls are back in stock!! Thank you!! I’m really looking forward to using the Sodium Laurel Sulfoacetate Flakes instead of the powder! 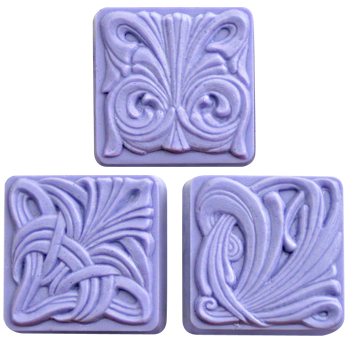 Also, I love the Art Nouveau Tile Molds!